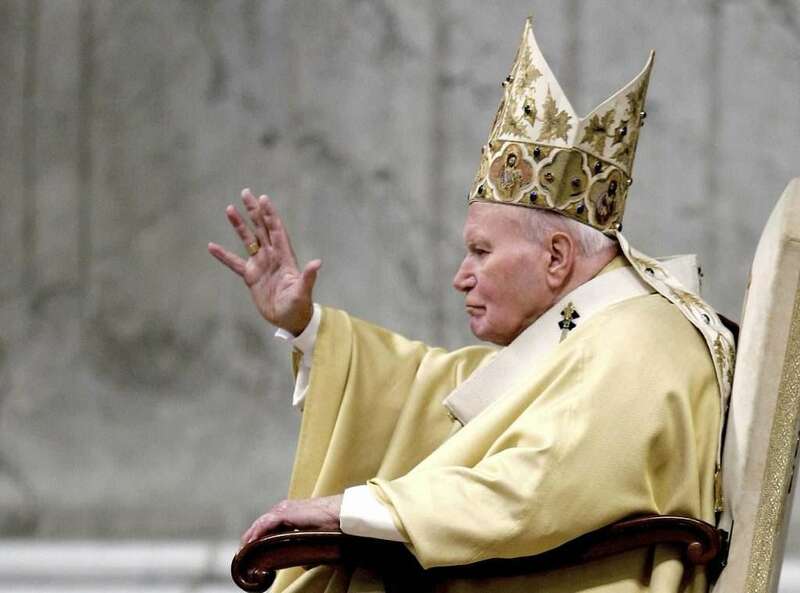 The words of St John Paul II and that of St Paul were not hinged on some presumptuous fantasy. they were hinged on Faith that there is a better place, in the Hope that God will give it to them and in the Love that has transformed their lives to the living Flame of God’s love. These two, as other saints who have exited this world with such great hope and love, have spent all of their lives in God’s vineyard. They recognized the importance of living the very life of Christ; of carrying their crosses everyday and walking in the path marked out by Jesus. These sought only to do what God wants and shun as much as possible every human comfort. They gave up everything: family, human love, wealth and worldly power. They became poor and ‘lonely’ for the kingdom of Christ. Like Christ, they were totally spent for love. So finally, at the end of their journey, they can look to God who is love and mercy and utter those words in confidence. Christ was himself the Father’s ‘Apostle’, doing only the Father’s bidding while on earth. So at last, when it was time to breathe his last, he commits his guilt-free soul to God’s hands. His was a life of total obedience, the degree to which no man is able to attain. His very birth was an answer to the call of the Father, and his death too was the fulfillment of that call. There is a big difference between doing what God wants (obedience) and doing the things you think God wants. So many people who think they’re evangelizing or living the life of faith are actually seeking after themselves. Some have ulterior motives or bask too much in the love of men to the point that these become their primary goal. Christ obeyed the Father in all things, hence his confidence. Sts John Paul and Paul obeyed Christ in all things, hence their hope. The secret lesson to be learned from the life of St John Paul II is obedience. Obedience to the call of Christ and steadfastness in doing his work. The Vatican account describes the pontiff as experiencing various levels of participation in what was going on around him. John Paul’s eyes were practically closed during a Mass celebrated at the foot of his bed in the late afternoon of March 31, the account said. The beauty of obedience is it make you feel less responsible for the work you have done. In a sense you can go “I did what you asked me”. If Jesus gives you little to work with, you are expected to produce little. So there’s little or no pressure on your part. God wants an ear that listens, more than he wants hands that dispel demons. I am always thrilled every time i read the last words of the Saintly Pope, because i learn from it to work too towards becoming hopeful in God’s mercy at the hour of my death. Because i know, that if i have done nothing but seek my own pleasure all my life, I cannot possibly hope but presume upon God’s mercy. But if i keep up this struggle, trying very hard to keep listening and following his commands, i will be at peace then. It is not so difficult to understand. Love of God means obeying him. Love of God means love of neighbor and of the creatures of God. It means using all things and caring for all things the way God wants. It means taking care of the world too, and keeping it healthy for the next generation. Sharing with the underprivileged, and lending your neighbor a hand. Giving alms to the poor and clothing to the naked, food to the hungry and words of encouragement to the depressed. Love means letting the Spirit of Christ possess you, so he can walk, talk, and move in you. At last, after having lived his life on earth, you will continue living his life in heaven for all eternity. THE LAW IS LOVE, THE KEY TO HEAVEN IS LOVE ! Previous PostWhy the devil wants you to wait till death to repent and why you shouldn't. Plus prayers to learn.